Paul Hardy is a well-known real estate developer in Southwest Florida for decades, mostly in Naples. For more than 10 of those years he relied on the marketing expertise of Christopher Spiro and The Brand Architects® at the Agency to provide counsel for strategies and executions in the promotion of several luxury golf course communities in Naples and Estero. Only months before the collapse of the housing market in 2007, Paul astutely divested all of his land holdings and waited. Nearly six years later with the resurgence of the market, he was ready to invest again, but this time in North Cape Coral where he had no previous real estate experience. Again, he turned to his trusted advisor, seeking Spiro’s local knowledge of the nuances of the area’s politics and bureaucracy. His target was the previously entitled 291-acre The Estates at Entrada, a property co-located with the undeveloped The Villages at Entrada, which is also controlled by Paul. It included the partially built De Navarro Parkway (subsequently completed and open in late 2013), and entitlements for a mixed-used development of residential housing and associated commercial space. After researching the history of the property, any liens and the details of its holdings by a national bank, Spiro created inroads for Hardy to meet with representatives of the Department of Community Development and the Economic Development Office of the City of Cape Coral to help answer critical questions. Both agencies supplied the information we needed as part of our due diligence to facilitate the purchase of The Estates, previously priced in 2006 at $22 million, for $3.35 million. 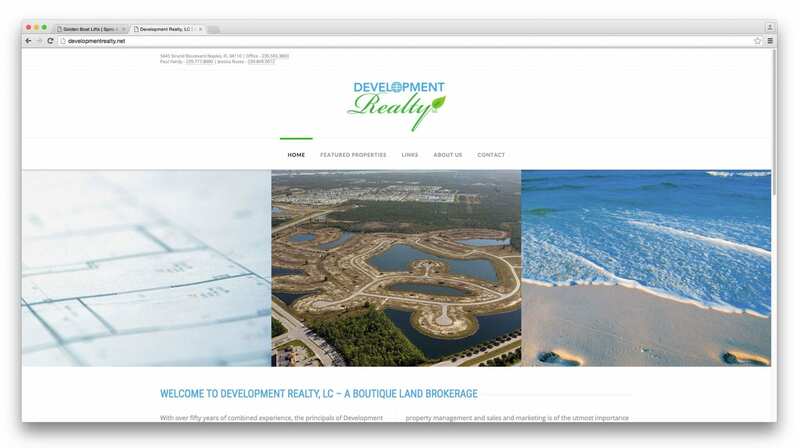 The Agency also created two websites and other materials to market the properties. 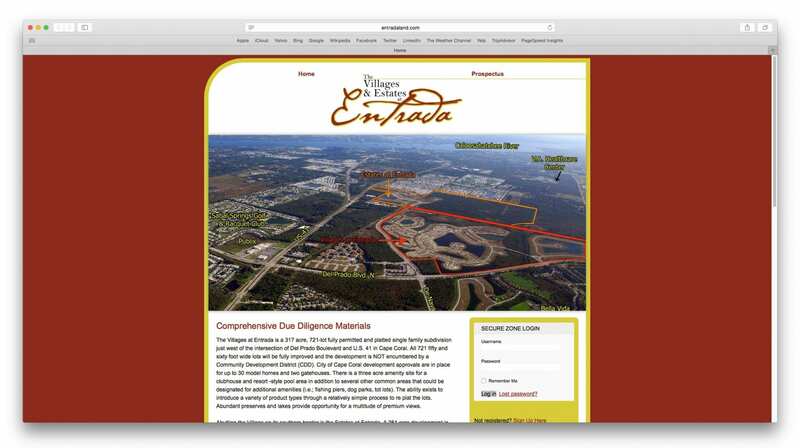 One of the Agency’s main focuses for Hardy Development was to create awareness through the news media about The Villages and Estates at Entrada, both among the public and the business community in Florida. We targeted specific media outlets and disseminated news items of interest to their readers and viewers. The work resulted in a brief segment on the local NBC-TV affiliate, a feature-length story in “Business Observer” with 90,000 readers from Southwest Florida to Tampa, and news stories, all online and in print. Significant progress has been made at The Estates and The Villages at Entrada, both listed for sale. Inquires via the websites increase weekly with e-mails from Realtors and others interested in keeping track of the status of the projects. Spiro & Associates continues to provide Paul Hardy with various marketing support.